No technology is more reflective of its creators than A.I. It has been said that there are no “machine” values at all, in fact; machine values arehuman values. 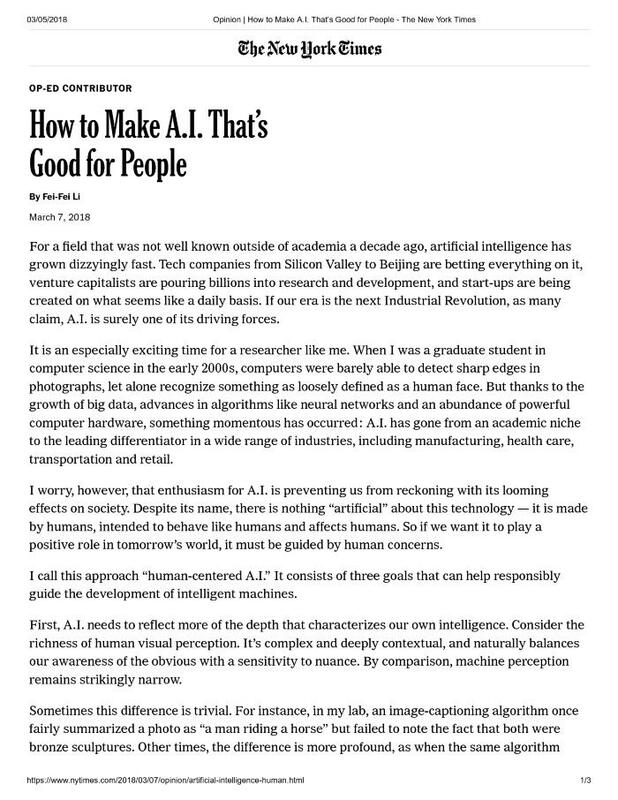 A human-centered approach to A.I. means these machines don’t have to be our competitors, but partners in securing our well-being. However autonomous our technology becomes, its impact on the world — for better or worse — will always be our responsibility.